Today we have YA Fantasy author, Robert Louis Smith here at SVR to celebrate the release and official debut at NYC ComicCon this weekend of his novel, Antiquitas Lost: The Last Of The Shamalans! He’s written up a wonderful guest post about how he came to write this book. The book also contains over 70 full page illustrations by Marvel Comics legend Geof Isherwood! From American cardiologist Robert Louis Smith comes the unique fantasy novel Antiquitas Lost, peppered with more than 70 eye-popping illustrations by Marvel Comics legend Geof Isherwood. This epic fantasy tells the story of a 15-year-old boy named Elliott, a bullied kid with deformities on his hands and feet who is uprooted from his home after his mother falls gravely ill. When they move to New Orleans so his grandfather can help care for her, Elliott learns that the old man’s eighteenth century mansion hides an ancient secret. From a dungeon-like basement far beneath the estate, Elliott strays through an ancient doorway into Pangrelor, a tumultuous parallel world full of bizarre creatures and warring races. Unable to return home, he discovers wondrous abilities he never dreamed he possessed, and an abiding connection to the primitive, alien world that will forever change him. But he must proceed carefully. For he soon learns that his actions in the ancient world will impact the upcoming battle for Harwelden, Pangrelor’s mightiest civilization, and will also resonate all the way back to New Orleans, perhaps deciding whether his mother lives or dies. And here’s Robert’s guest blog! In 1954, J.R.R. Tolkien published the first of a breathtaking series of books that would go on to become some of the most influential novels of the 20th century. As anyone who has ever read The Lord of the Rings knows, Tolkien’s books are so imaginative and unexpectedly powerful that his fantastic tale still captures our imaginations more than a half century after its original publication. These stories gave birth to the modern fantasy genre, and it is perhaps inevitable that so many contemporary fantasy books replicate aspects of Tolkien’s writings. So pervasive is Tolkien’s influence that the Oxford English Dictionary offers a word for it: Tolkienesque. Perhaps this is why we see so many fantasy tales that feature elves, dwarves, wizards, magic rings, and magic swords. The presence of these features is, in many ways, what we have come to expect from a modern fantasy novel. But over the course of 57 years, these constructs of classical Northern European (or Tolkienesque) fantasy fiction have been imitated to the point of monotony. In tome after tome, we see elves and dwarves wielding magical swords or speaking in Northern European conlangs (fictional languages) as they follow some particular heroic quest. And let’s be honest. Although there are many wonderful and imaginative novels that feature these elements, no one has done it as well as Mr. Tolkien. When I sat down to write Antiquitas Lost, I promised myself there would be no magic rings, magic swords, elves or dwarves. A major goal was to create a fantasy novel where the creatures and setting were fresh. Pangrelor, the fantasy world described in Antiquitas Lost, is envisioned as a pre-industrial, medieval society with beautiful artistic accomplishments set in a savage and magical natural environment — the Renaissance meets the Pleistocene, with magical beings and crypto-zoological creatures. Devoid of elves and dwarves, Pangrelor is inhabited largely by creatures that we are familiar with, but different from the usual fantasy fare — gargoyles, Bigfoot creatures, Neanderthal types, Atlanteans and dinosaurs, to name a few. These differences give Pangrelor a much different feel from Middle Earth and the countless, adherent worlds that have followed. Hopefully the reader will find this refreshing. Over time, I have come to think of Antiquitas Lost as more of a “North American” tale, with many references to new world mythologies, as well as a hint of Native American influence. Although Antiquitas Lost is not immune to Mr. Tolkien’s sweeping influence, it is unique in many ways. When you take your first journey to Pangrelor, it is my sincere hope that you will experience a hint of the joy that accompanied your maiden voyage to Middle Earth, and that you will connect in a meaningful way with this unprecedented new cast of characters as you explore an altogether unique fantasy destination. 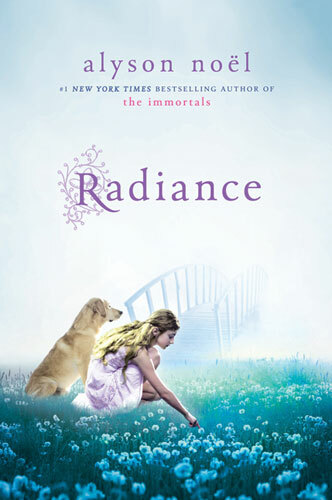 Another book that was just released on August 31st, 2010 is Alyson Noel’s Radiance. It’s a new series that expands on Alyson Noel’s Immortal’s series by giving Ever’s little sister, Riley, her own series. Here’s the brand new book trailer for Radiance. And here’s a bit about the book. There are a whole bunch of awesome books being released out into the wild this month! Here are some shiny covers of a few of them that I am DYING to read. 😀 Check out my New Releases page to see all the books along with their release dates. (I’m still working on the title links). 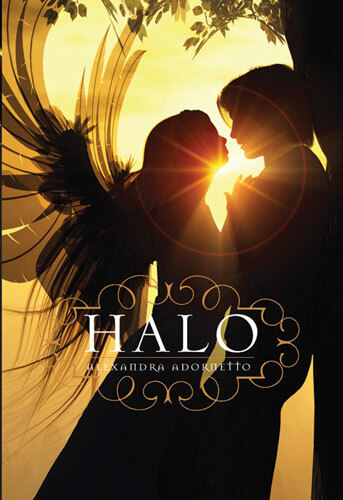 Another book that I have been highly anticipating is Alexandra Adornetto’s YA, Halo! “Three angels are sent down to bring good to the world: Gabriel, the warrior; Ivy, the healer; and Bethany, a teenage girl who is the least experienced of the trio. But she is the most human, and when she is romantically drawn to a mortal boy, the angels fear she will not be strong enough to save anyone—especially herself—from the Dark Forces. I’ve always been fascinated with Angels, what about you? Firstly, I’d like to thank Sidhe Vicious for having me today. I’m a huge fan of the blog and being able to bring my debut YA Paranormal Fantasy here is just about the coolest thing ever. What I decided to talk about today is trends in YA literature. I have some friends who just came back from RWA (which I’m not actually a member of and don’t attend). One thing they discussed, apparently, was the what’s hot and what’s not in the paranormal genres. Though, there was some debate on this one. 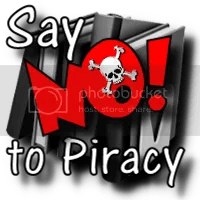 One agent said it was “dead again” and another called the fanged ones “timeless” which just goes to show that what one person loves, another will hate. There’s no pleasing everyone, especially agents. I have seen many of these recently, but I don’t know if I quite agree with this. I think there’s still lots of room in the mix for a well done Angel story, but I would like to see something new, something that puts a twist on what everyone else is doing with them. Yes, the fair ones are making the rounds again. Who doesn’t love a good Faerie tale? With movies like Clash of the Titans and the forthcoming God of War, is this a huge shock? Nope. Really? I guess so. Not a huge surprise. They are looking for good Zombie books that put a new twist on the old ideas. Other huge trends right now are Steampunk (think Dr. Who) and Romance (think Perfect Chemistry). Why is this important? Short answer, it’s not. If you (like me) love vampire books, that’s not gonna change just because fewer are being published. “Trends” are crap and writing to a trend is stupid because it takes so long to write and publish a book that by the time you made it to the shelf, the trend would be over anyway. So, then why did I write a Greek myth/Faerie story? Because I love them. Passionately. And when I wrote this book, 3 years ago, I had a hard time finding someone to publish it because all anyone wanted was a vampire story. Yep. Thank goodness my publisher had the foresight (no pun intended) to give FORESIGHT a try. Monsters will never fall out of favor totally. We love our monsters. We need our monsters. But they do seem to cycle around. So you tell me, what monsters would you like to see more/less of? Now if you’ll excuse me, I have to go work on my Zombie/Steampunk/Romance. Have a great week everyone, and Happy Reading! Sherry Ficklin has been gracious enough to supply an autographed copy of Foresight, book one in The Gods Of Fate trilogy and a reversable book tote with some swag such as buttons, pens and a beaded book thing to giveaway to one of my readers! Contest is open to Everyone. 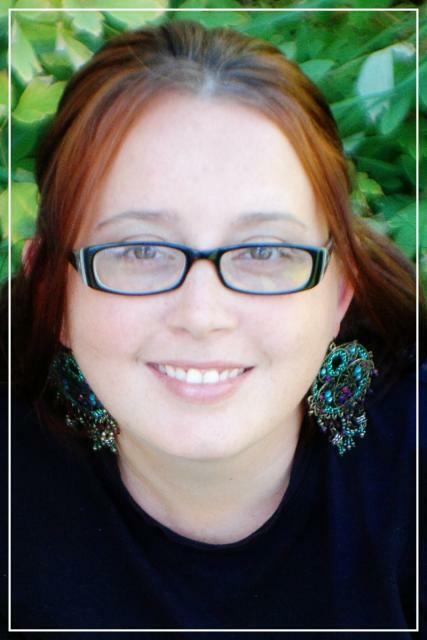 Ask Sherry a question about the book, about writing, or about the paranormal elements she discusses in her guest post! Please leave your email addy in your comment for me to contact you if you’ve won, but post it like wilmaflinstone(at)boomshakalaka(dot)com so you don’t get any spam. 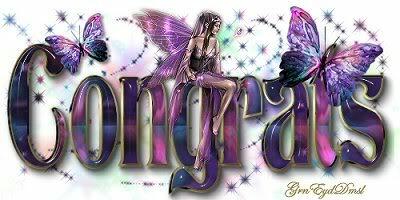 If I haven’t heard back from the winner in 7 days, a new winner will be drawn from the eligible comments. Winners will be chosen by a random number generator. Good Luck everyone! I have been waiting for this one! 🙂 Sherrilyn Kenyon’s first YA, Infinity is out in stores today, so check out the trailer. “Newly undead shifter-turned-vampire Kita Nekai is coming to grips with the reality that her cat has not awakened since her change. What she needs is a little time to adjust to her new liquid diet and the increasingly complex attraction to her sire, Nathanial. What she gets is a headless harlequin. With the body count rising, Kita is dragged into a dangerous game of vampire politics. Her involvement draws the attention of an ancient vampire known as the Collector who has a penchant for acquiring the unusual – like a pure blood shifter-turned vampire. Kita still has unfinished business of her own and finds herself deeper in magical debt. It’s a bad time to be a kitten who can’t slip her skin. I jumped into this series with the second book, Twice Dead, and had no problems following along. I definitely want to read the first book, Once Bitten. Kalayna Price has created an interesting supernatural world filled with rich, intriguing characters. Kita is an interesting mix because she was a shifter that was turned into a vampire. Her progress while adjusting to the change in the face of danger kept me reading long into the night! Filled with action, suspense, danger, and a fascinating relationship. I recommend this book to anyone who is a fan of urban fantasy, heroine’s who grow and come into their own, and characters that come alive on the pages of a fast paced story. 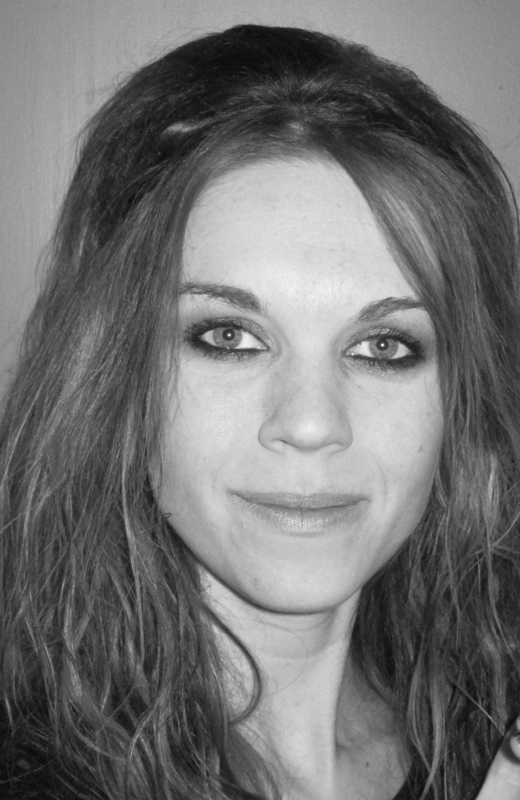 Find out more about Kalayna Price and her books at her website.